The process of signing a document should be seamless irrespective of the device be it a Mac, PC, tablet, or mobile device. This should work for document management as well, which means allowing third parties to sign directly and get the signed document securely over email. Allowing users to sign anywhere anytime gives them the convenience they need and boosts efficiency. Most importantly, an eSignature will not require any special software application; just a browser and internet connectivity is adequate. Integrating with popular applications such as Google Docs, Dropbox, Salesforce is important to run your existing document workflow. The integration should be seamless and quick as possible so that users can get their work done with minimal downtime. Look out for APIs to push your integration further. Integrate with as many APIs as possible, but make sure your eSignature provider can support your business needs as it scales. Taking a tiered approach means that businesses can grow their eSignature requirements without affecting their bottom line. eSignature software should guarantee the authenticity of the sender, recipient and the document. The solution should have robust audit features so that you can readily get the analytics of who has done what and when. Make sure your eSignature provider complies with minimal regulatory requirements. Also, ensure the solution you choose should have security mechanisms in place to prevent repudiation and forgery. Managing multiple lists of signees and users within the company is important to maintain the integrity of the system. Having control over various team members is important as different signees can access different documents while sharing the same platform. Having templates ready will reduce turnaround time, translating into more efficient processes. 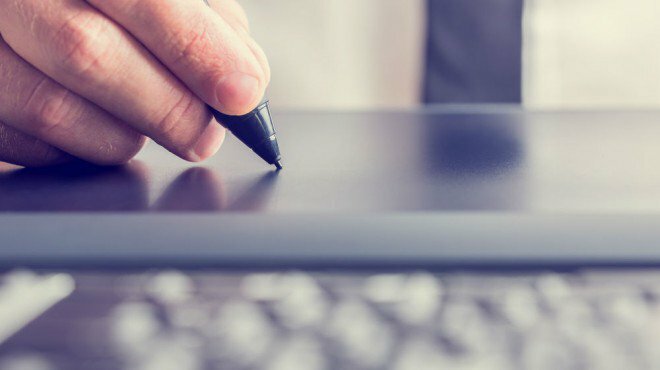 Choosing an eSignature software solution featuring these capabilities will not only help you in signing documents but also allow for greater security. Do you want to switch to SutiSign eSignature Software? Get in touch with us today. Is your Business Embracing New Trends? What to Look for in Modern Expense Management Solutions?